All eyes are on LeBron James as the three-time NBA Champ and newly appointed Los Angeles Laker makes his debut as part of the Western Conference pantheon of elite stars. 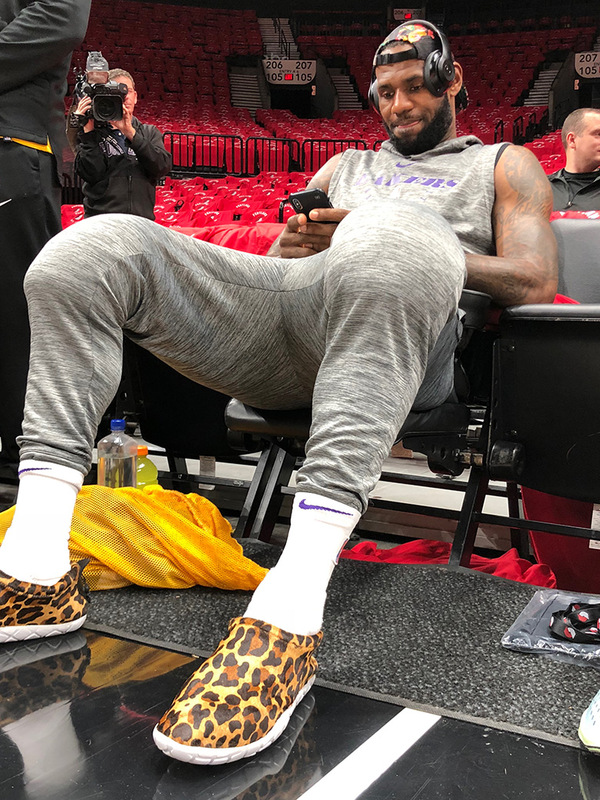 Prior to his regular season debut, which will be at 10:30 pm ET against the Blazers, LeBron was (as usual) swarmed by reporters on court, and it was during this media session that he was spotted in a one-of-one pair of the Nike Air Moc in a cheetah hair upper. Developed by the Footwear Prototyping Department specifically for King James, this cozy lifestyle shoe makes use of the same wild pattern and material seen in tonight’s release of the Nike LeBron 16 “King”, a colorway that honors one of the earliest ad campaigns Nike created to promote the generational athlete. Get a closer look at these Air Mocs below and tune in to LA’s season opener tonight on TNT. 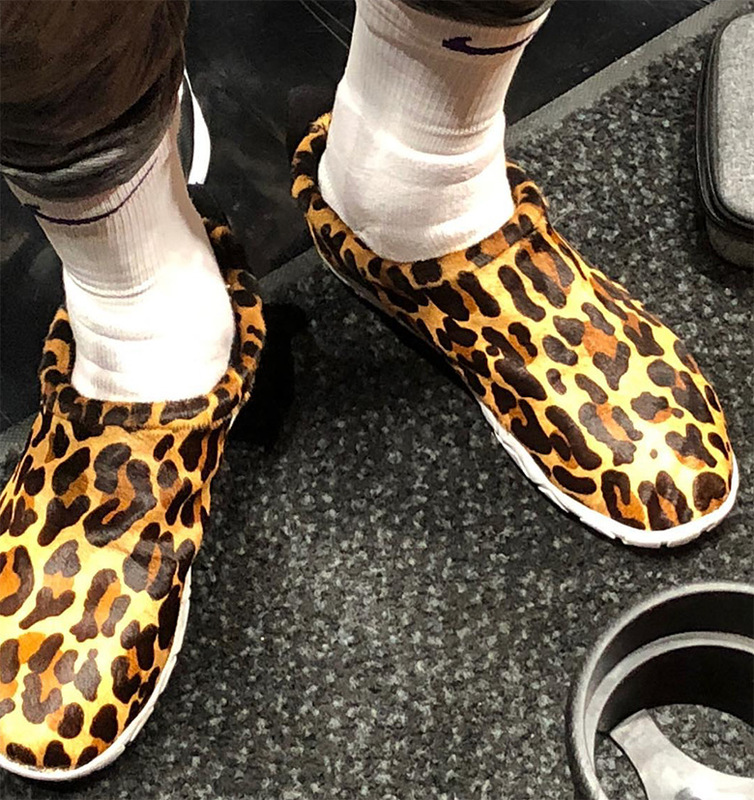 The post LeBron James Wears One-Of-One Nike Air Moc “Cheetah” Before Season Debut appeared first on Sneaker News.